Located in Dallas, TX, the Trex deck at the HGTV® Smart Home 2019 is equal parts Southern charm and eco-friendly intelligence. Relish outdoor living as much as the winner will with these four wise tips. Invest in a stronger foundation. A smart backyard begins from the bottom up, which is why you’ll find chemical-free Trex Elevations® Steel Framing beneath the HGTV® Smart Home 2019 deck. Our system of triple-coated steel beams, joists and tracks creates the strongest, greenest substructure you could ask for. And unlike wood, precision engineering ensures surfaces remain flat over time. This year’s property features gorgeous, high-performance Transcend® Decking in Gravel Path—made from 95% recycled materials—for a reason. We engineer every composite board with unrivaled fade, stain, scratch and mold resistance. Forget the maintenance that comes with lumber. Trex only requires a quick soap-and-water rinse. Add a pergola for stylish shade. Trex® Pergola™ Balance creates a contemporary, virtually upkeep-free outdoor room—perfect for a house with subtle modern gothic touches like this one. The aluminum-reinforced cellular-vinyl structure will never rot, split or fade. Above, the Vision Tension Canopy in Natural will shield you from the sun’s harsh rays as well as keep you cool...even in sweltering Texan heat. Extend outdoor hours with lights. What’s more brilliant than efficient lighting? 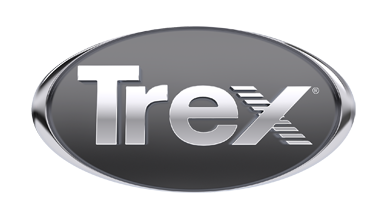 Discreet Trex® Recessed LED Deck Lights, which use 75% less energy compared to incandescent, will guide the lucky homeowner along the curved path after sunset. It’s one of the safest, smartest ways to make the most of your outdoor living area. Click here to discover more of this ranch-inspired retreat. And don’t forget to enter for a chance to win the HGTV® Smart Home 2019, April 24th through June 14th, 2019.